A new 28mm Ogre now released! 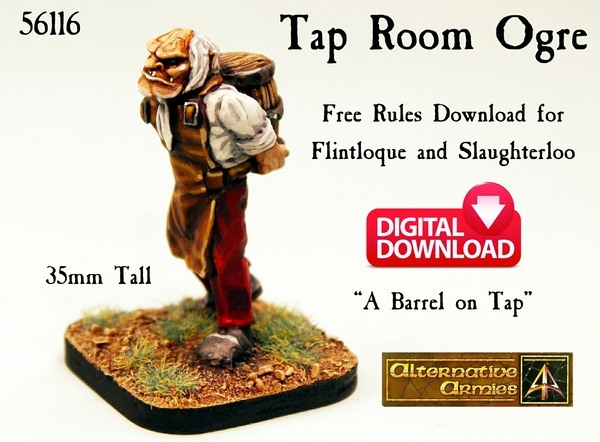 56116 Tap Room Ogre is a civilian miniature carrying a heavy barrel which is great in any fantasy system. We also have a free one page article giving new rules for play in our Valon game systems. Click through to see it and learn more as well as download the article. Brand new Ogre Cavalry for Flintloque and Slaughterloo. Hunvarian Guard on Rhinos which can be used for Guard or Hussars, Hunvaria or Krautian Giant Legion. All resin unit and at a reduced price. Single, Pack or Unit. Also a free article with game statistics for the new units. Click through to see and learn more plus the download link and remember our Black Friday mega event is underway too with free shipping and a whole lot more until 29th November. All in the article. 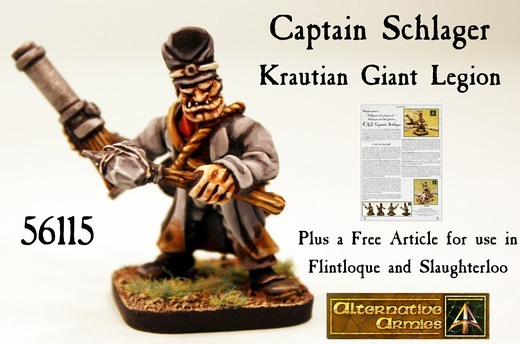 New for Flintloque the dastardly Ogre Captain Schlager of the Krautian Giant Legion (KGL) a multiple part 28mm scale resin miniature now released at Alternative Armies. An officer or a deserter he is armed with a Kannonderbuss and a stone topped club. Click through to learn more and to download a free Uniformation article for using this character in the games. Installment number five in the Flintloque journey is now online to read for free. 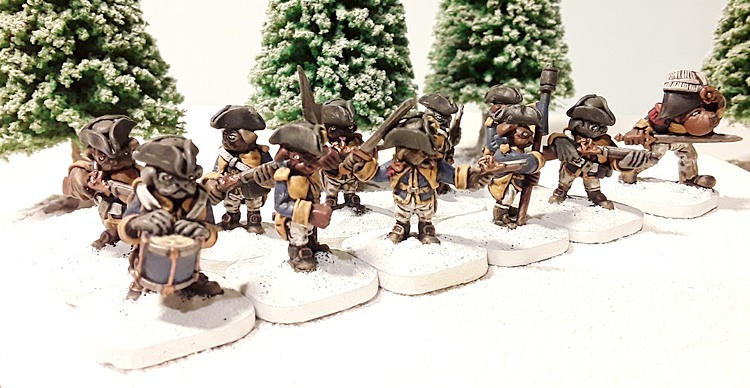 Creating a unit and fielding it in a skirmish I present to you the 1st Pugglesberg Jagers by Andy Jefcoate! 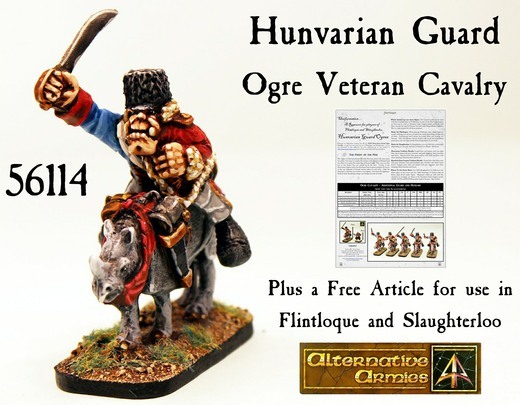 A Halloween weekend offer from Alternative Armies. Put 10GBP or more of any products in your cart and get 5005J Madame Boniface (worth 2.50GBP) included FREE in your package. Who does not want a skeleton in a ballgown with a mask! As well as this you can now get all of the characters from Lady Wintermores Fangs set as singles (Ivan, Lamia and the rest) and there is a free download of the scenario booklet too provided by Orcs in the Webbe for 3rd edition Flintloque. Click through for more information and images. Offer ends 30th October.